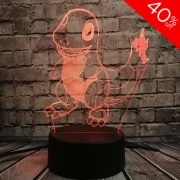 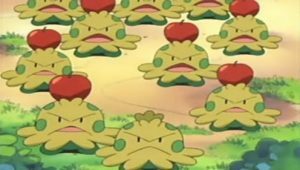 The kids are on their way to Fortree City, but May is delaying them. 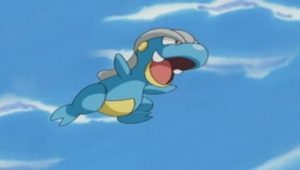 Ash starts to argue with her, and the two kids continue to bicker as they walk. 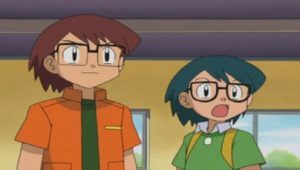 They are interrupted by a couple named Andi and Oscar, who challenge May and Ash to a tag battle. 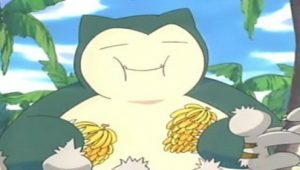 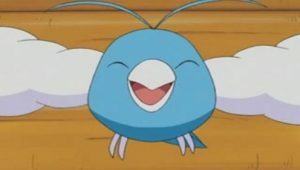 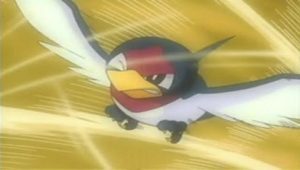 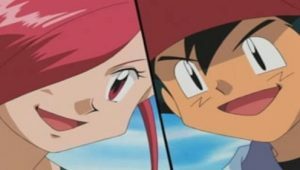 Ash uses Corphish and May uses Skitty, facing off against the lovebirds’ Nidoking and Nidoqueen. 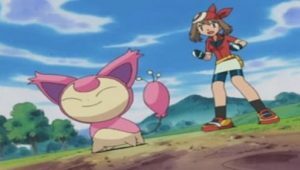 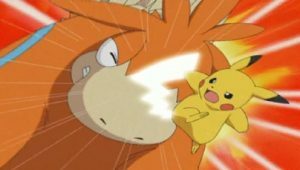 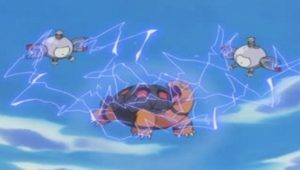 Skitty’s Assist move continually interferes with Corphish’s attacks, so the two Trainers and their Pokémon begin to fight. 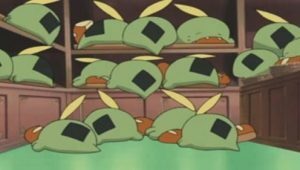 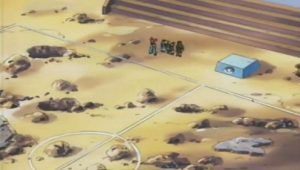 Ash and May are defeated. 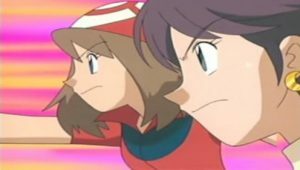 Andi and Oscar encounter Team Rocket next. 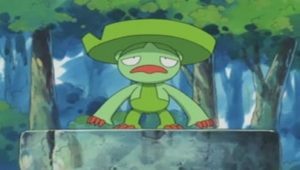 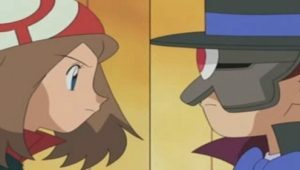 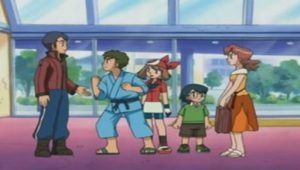 Jessie and James agree to battle only so they can steal the couple’s Pokémon, but are soundly beaten. 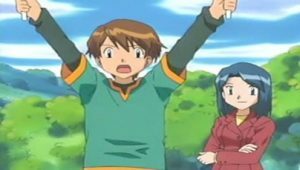 Jessie and James blame each other for the loss. 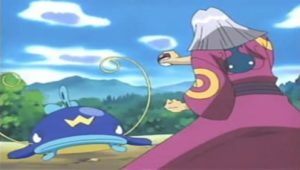 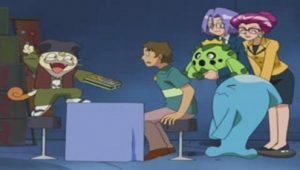 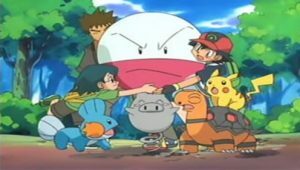 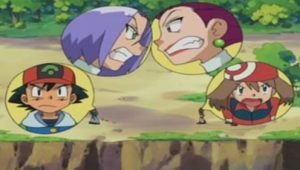 The two groups overhear each other fighting, and Jessie decides to team up in a tag battle with May against James and Ash. 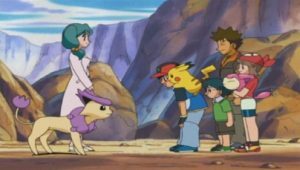 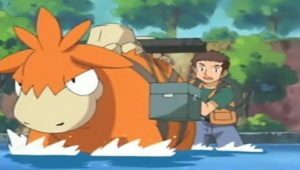 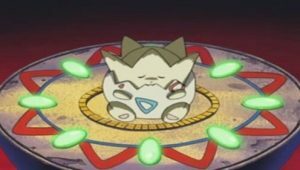 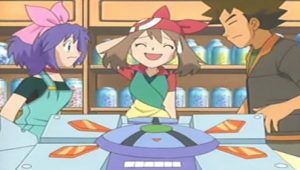 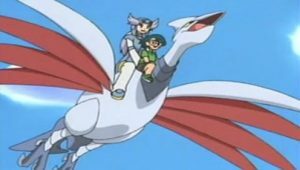 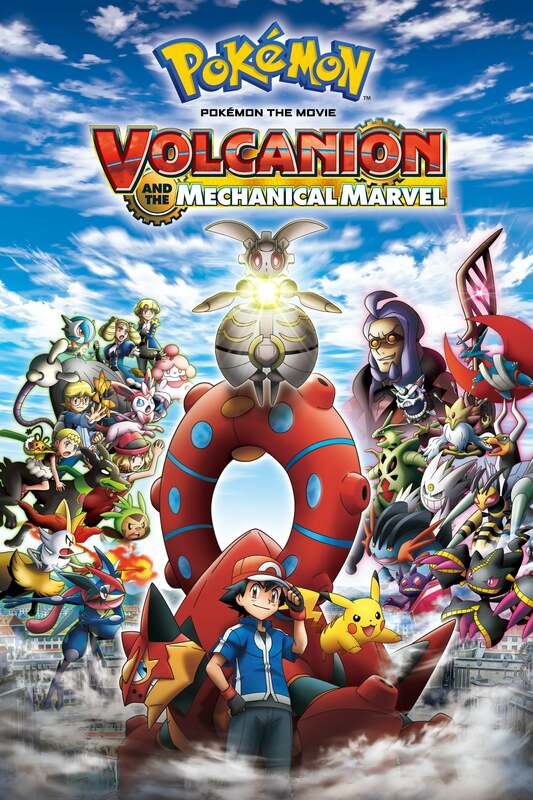 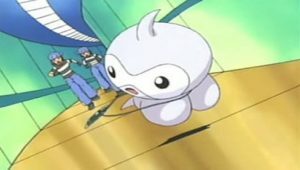 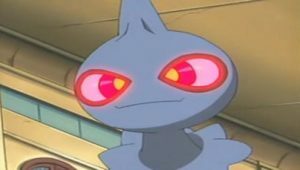 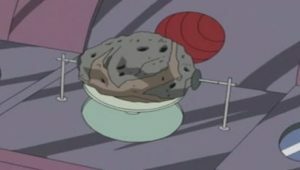 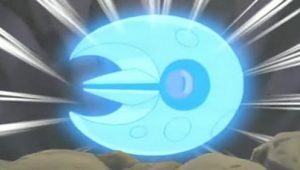 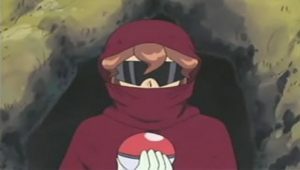 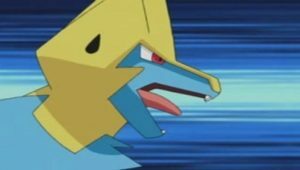 The battle starts to go in favor of the boys, prompting Jessie to send out another Pokémon. 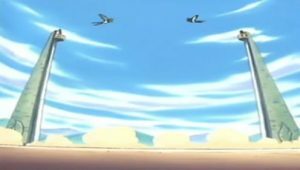 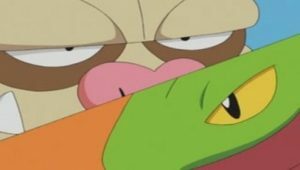 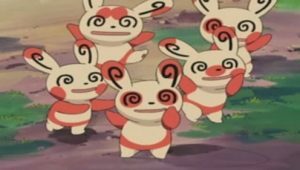 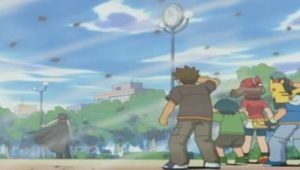 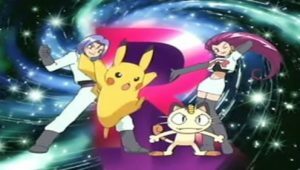 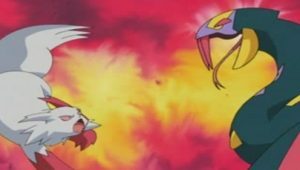 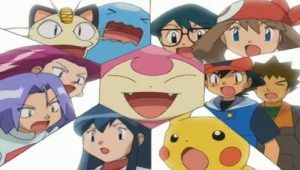 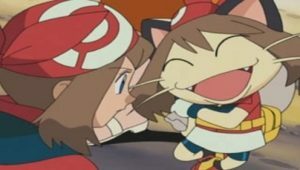 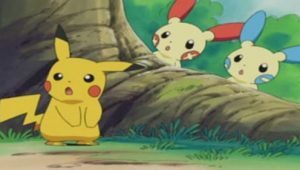 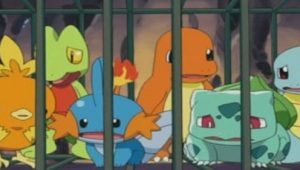 The fight between Skitty, Seviper, Cacnea, Corphish, and Dustox quickly goes out of control, until Meowth realizes that Team Rocket could steal Pikachu. 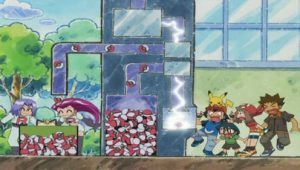 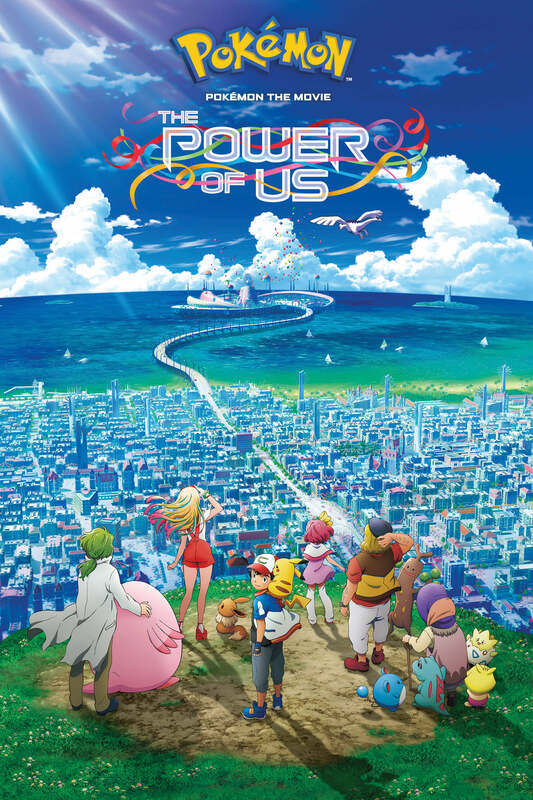 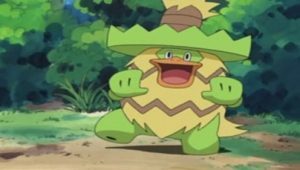 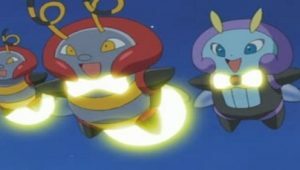 They grab Pikachu and run, but Ash and May team up to stop the thieves. 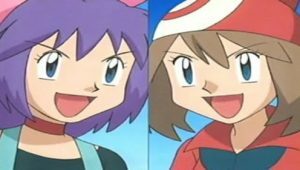 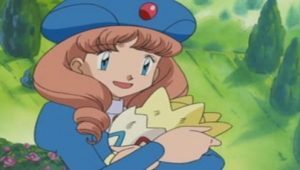 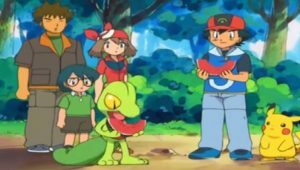 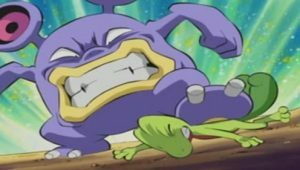 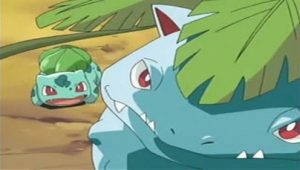 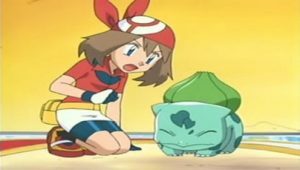 After using their Pokémon to soundly defeat Team Rocket, Ash and May reconcile.